financing available for all credit types personal and commercial (good credit, no credit, bad credit, new to the province/country, previous repo, OPD/Bankruptcy/Consumer proposal, job loss, divorce....Bad things happen to good people all the time, we understand this and can help!) At DRIVING FORCE we take care of our customers and make it easy to buy or lease a car, van, SUV, or truck. Our prices are straightforward, our service is second to none, and we have a large selection of quality, fully reconditioned pre-owned inventory for purchase or lease. All prices include: a CarProof report, lien check, 120 point vehicle inspection, AMVIC inspection, and commercial inspection (when required), two sets of keys, an owner's manual, and a full tank of gas. We will provide you with the reports and summary of repairs completed. 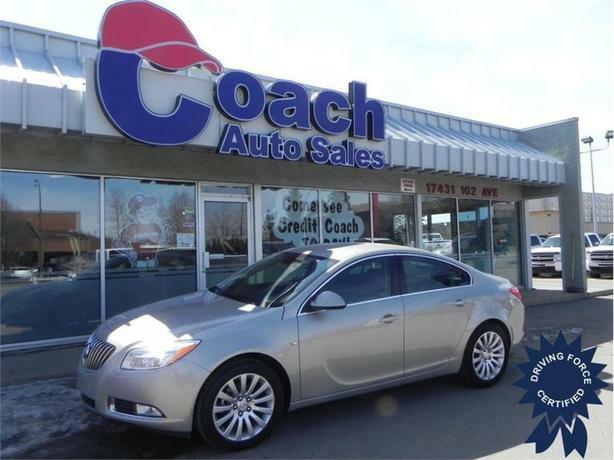 Our DRIVING FORCE Certified Used Vehicle Program, 3 month or 5,000 kilometre warranty, means the best value for you. If there is an issue, we fix it! We offer a range of financing options and work directly with all major banks offering both prime and non-prime solutions. Whether retail or commercial, we have the solutions to fit your needs best. All transactions are subject to approval. All trades welcome. We would be happy to answer any questions you may have. Over 98% of our customers would recommend us to a friend. We welcome the opportunity to earn your business and become your preferred choice as well. At DRIVING FORCE we're driven to deliver . . . anything you want!